There’s a lot of talk right now about trade agreements. Not all of the usual suspects are in support of two proposed free trade agreements in this political cycle. Some blame NAFTA and free trade in general as elements that have reduced the middle class in the U.S., while building the middle class in Mexico and elsewhere. Yet, in 2015, almost 50 percent of U.S. exports went to the 20 countries the U.S. currently has free trade agreements with. Those countries do not include any in Europe, nor do they include China or Japan. We do have free trade agreements with Australia, South Korea, Israel, Singapore, several countries in Central and South America, and, of course, Mexico and Canada. With the FTA countries, the U.S. enjoyed a trade surplus in manufactured goods of about $12 billion last year. Not so much with those we do not have trade agreements with. . .regarding those countries, we have a trade deficit of about $500 billion. There are two major trade agreements that are currently proposed. One is with the European Union and the United States, trading partners that accounted for about one-third of U.S. exports last year. Called the Transatlantic Trade and Investment Partnership (TTIP), it is a companion agreement with the Trans-Pacific Partnership (TPP). That agreement involves 12 countries: the U.S., Japan, Malaysia, Vietnam, Singapore, Brunei, Australia, New Zealand, Canada, Mexico, Chile and Peru. The pact is designed to create stronger economic relations between the member nations, cutting tariffs and fostering trade to boost growth in exports and imports. I will not take sides on the free trade agreement argument. It is a complicated issue. I can clearly see the basis of the arguments for and against these trade agreements. But I do know this: the Southern Automotive Corridor has lost out on nine major automotive assembly plants in the last few years to Mexico, primarily because Mexico has free trade agreements with more than 40 different countries. That’s more than double the number of countries the U.S. has trade agreements with, and that alone is a major factor for manufacturers when it comes to exporting. For the first time since the end of the recession, the total value of U.S.-exported goods fell from one year to the next. In 2015, the U.S. exported about $1.5 trillion in goods, including high value products such as automobiles, aircraft, machinery, telecommunications and chemicals, among other goods. That was down about 7.5 percent from 2014 when the U.S. exported $1.63 trillion in products, but well above the $1 trillion exported in 2006 prior to the recession. The $1.63 trillion in goods exports in 2014 was the largest total ever for the U.S. The South also saw a reduction in the value of its exports in 2015 from its record year of $654 billion in 2014. The South exported $61.7 billion less in 2015 than in 2014. 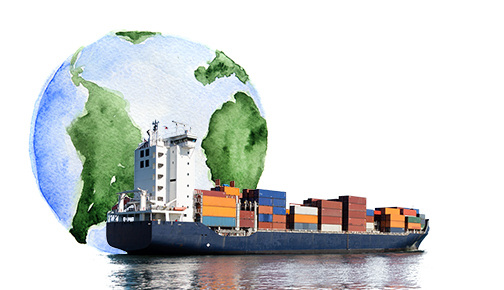 One of the reasons for the drop in exports can be attributed to the resilient U.S. economy. With a strong economy comes a stronger currency. Exports have tumbled in part because of the strong dollar that’s made American-made goods and services more expensive. Put that on top of a weak global economy and it’s not a mystery why exports fell last year. There are now more middle-class Chinese than there are people in the United States, and they are demanding the purchase of foreign-made products, particularly from the U.S.
Last year, the U.S. was the second largest exporter in the world, behind only China. China exported $2.27 trillion in goods in 2015. Germany was third with $1.3 trillion, followed by Japan with $625 billion. The American South’s total value of $593 billion exported in calendar year 2015 would make it the fifth largest exporter in the world if it were a country. The 15 states that make up the American South led the other three U.S. regions by a wide margin in export values (see pages 46-47). In fact, the South accounted for 40 percent of U.S. exports last year. If worldwide demand increases this year and next, the region is positioned to set export records because of the increased manufacturing capacity of high value products that have come on line in the last three years or are currently under construction. 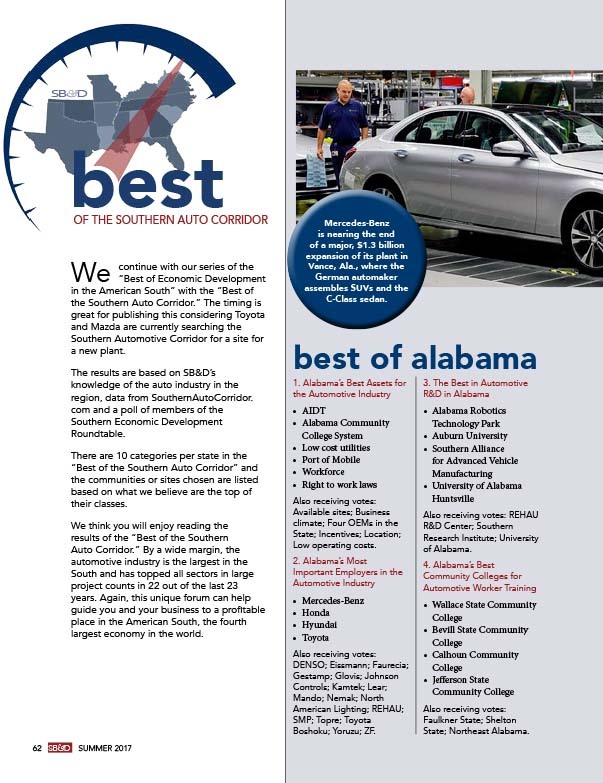 For example, all but one of the 17 major automotive assembly plants in the Southern Automotive Corridor have expanded since the end of the recession, three more than twice. 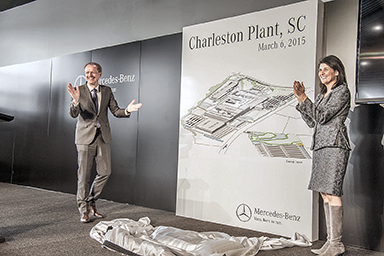 And two major automotive assembly plants were announced last year — Volvo and Daimler Vans in South Carolina — that have yet to begin production. Both plants are designed to export at least half of their yearly vehicle production totals. Furthermore, the fracking frenzy has expanded chemical production in Louisiana and Texas at a furious pace. Additionally, multi-billion dollar LNG export facilities are coming online in Louisiana and Texas, with the first — Cheniere Energy in Southwest Louisiana — already exporting the essential and abundant energy product. New aircraft, spacecraft, engine and rocket production are coming online, and the South is now home to two of the nation’s three large commercial aircraft assembly facilities with Airbus in Mobile, Ala., and Boeing in North Charleston, S.C. The other is Boeing’s massive Puget Sound facility in Washington State. Job generation tied directly to exporting is growing as well. In 2014 (latest figures available) almost 2.9 million direct jobs were tied to exporting in the 15-state American South. With dozens of inland and deep-water ports — more so than any other U.S. region — the South is set up perfectly for companies that want to expand export capacity. The rise of the middle class in the South? In this presidential campaign, a lot has been said of the 40-year decline of the middle class. There is no question the middle class is weaker financially than at any point in the last three generations. Some estimate that prior to the recession, jobs that paid $60,000 were replaced by jobs that pay $40,000. Wage earnings have flattened since the recession ended, even though they are perking up a little as most places in the South have reached, or are near, full employment. There is also no question that during one of the longest economic expansions in U.S. history, those wages should be higher than they are currently. The stagnant wages are one of just a small number of negatives currently involving the U.S. economy. Otherwise, the data is off the charts, including more large projects announced in the South in 2015 than any year since this publication began counting in 1993. 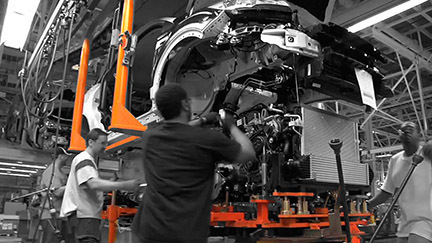 Two major automotive assembly plants announced last year – Volvo and Daimler Vans in South Carolina – are designed to export at least half of their yearly vehicle production totals. Look, the executives of companies setting records for new and expanding projects in the South in 2015 are not stupid. If they saw a recession looming, or a challenged economy like you hear about constantly in this presidential election, those same executives wouldn’t have invested a record $90.5 billion in this year’s SB&D 100. Most of those investments won’t even come online for one or two years. 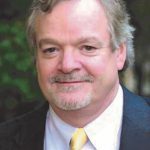 The Great Recession, along with new automation technologies that are taking boots off the factory floor by the tens of thousands, and offshoring manufacturing capacity to China, Mexico and elsewhere from the 1990s to the beginning of the recession have devastated the middle class in this country. Yet, one of the major reasons why the American middle class has been reduced in number may be what helps bring it back. There is a new middle class that is greatly assisting the world economy right now, one that didn’t even exist 30 years ago. And it’s not the middle class of America. There are now more middle class Chinese than there are people in the United States. The Chinese middle class is growing faster than any economic demographic in the world, and they are demanding the purchase of foreign-made products, particularly from the U.S. In an article published this summer by Businessinsider.com titled “Chinese imports of U.S. goods are about to soar,” writer Andrew Meola insists that 15 percent of the Chinese population will buy products from a foreign country this year, amounting to more than $85 billion in sales. He forecasts that the number of foreign goods purchased by the Chinese will rise to $157 billion by 2020. And according to a Boston Consulting Group (BCG) study, more than 60 percent of Chinese consumers said they would pay more for products made in the U.S. instead of in China. 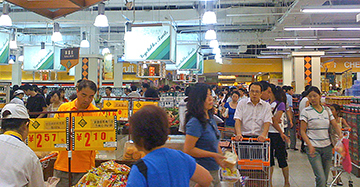 BCG also published a press release in the summer claiming that three-quarters of Chinese consumers plan to maintain or increase spending this year. So, clearly, the economic dynamics of China are changing. Just a few years ago, there was no middle class in China. Now, it dominates Asia’s economy and prefers American products. This big new customer might just contribute greatly to a renewed and stronger middle class in this country. The fact that more jobs are returning to the U.S. from China than are going there is also a relatively new phenomenon. Combined with the fact that the Chinese are investing in the U.S. in record numbers, it looks as if China will be bolstering the U.S. economy for years to come. These big changes in how China helps this country’s economy, instead of taking from it, will boost exports to levels never before seen in the U.S.
Last year, there were $721 billion in massive cross-border mergers and acquisitions, including Merck KGaA’s $17 billion purchase of the American company Sigma-Aldrich. 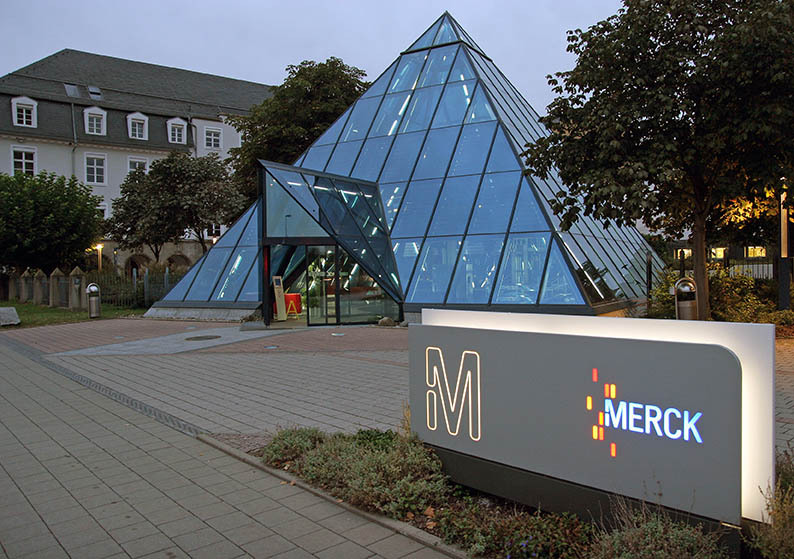 Merck’s headquarters are in Darmstadt, Germany. The ebb and flow of goods and money from one country to another is the very essence of the global economy. Last year, there was a record $1.76 trillion in foreign direct investment flows around the world, according to the United Nations. Of that total, there were $721 billion in massive cross-border mergers and acquisitions. Some of those mergers and acquisitions included Merck KGaA’s $17 billion purchase of Sigma-Aldrich and GlaxoSmithKline’s $16 billion purchase of Novartis. While FDI worldwide set a record, a record was also set in the United States. Expenditures by foreign direct investors rose to $420.7 billion in calendar year 2015, an increase of 68 percent from 2014. These investments by foreign entities included acquisitions, existing industry expansions and new greenfield operations. Of the $421 billion invested in the U.S. last year, more than half, or $281 billion, was manufacturing related, including new, expanded and acquisition. Within manufacturing, large investments were seen in chemicals, automotive, consumer products, pharmaceuticals and medicines, among other sectors. Some of the most active foreign investors in the U.S. in 2015 were the typical customers — United Kingdom, Japan, South Korea, Luxembourg, The Netherlands, Ireland, Canada, Switzerland, Germany and France. Again, it should be noted that China continues to invest in the U.S. at rates never before seen. In 2010, China invested just $4.6 billion in the U.S. In 2015, China invested $15.3 billion in 171 U.S. projects according to the Rhodium Group. In the first two quarters of 2016, China has turned 70 deals for a total of $18 billion invested. 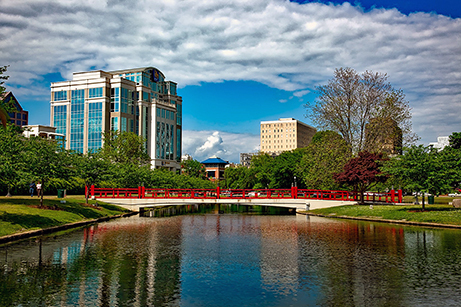 One of those deals was China-based Haier’s acquisition of GE Appliances and its massive Appliance Park facilities in Louisville, Ky. China’s largest and most active investments the last couple of years have been in automotive, consumer products, information technology, communications technology and real estate. Until recently, the Chinese have been no-shows when it came to investing in the South, and in North America as a whole for that matter. On average, from 2000 to 2009, Chinese companies invested about $1.7 billion a year in the U.S. That’s the total investment of one small petrochemical plant in Louisiana or Texas today. Strictly speaking, Chinese investment in the U.S. has been chump change. . .until recently. So, really, for the first time in history, China is playing a direct role in the U.S. economy from a job- and investment-generating position. The number of Chinese-owned companies now operating in the United States at the end of the second quarter of this year is estimated to be about 1,800. Those companies are employing approximately 110,000 people. Employment in China-owned companies, according to Stephen A. Orlins, President of the National Committee on United States-China Relations, is expected to quadruple over the next five years. Five years ago, Chinese-affiliated companies employed just 15,000 workers in the U.S.
We believe this surge in outbound FDI from China to the U.S. is simpler than capital flight or strategic investments. There is no question that reshoring, onshoring, nearshoring, make it where you sell it — whatever you want to call this economic shift in manufacturing capacity — is driving this Chinese investment run in the South and in the U.S.
For example, if it is getting more difficult to make a profit in manufacturing many products in China for U.S. consumption, wouldn’t it make sense for Chinese manufacturers to offshore production to North America? Also, if it is getting more expensive to manufacture in China, where does that leave Chinese manufacturers? It puts them in the same position as other companies that are reshoring to the U.S. The Chinese are offshoring to the U.S. for economic reasons simply because soon, a manufacturer will be unable to make a profit making something in China for U.S. consumption. 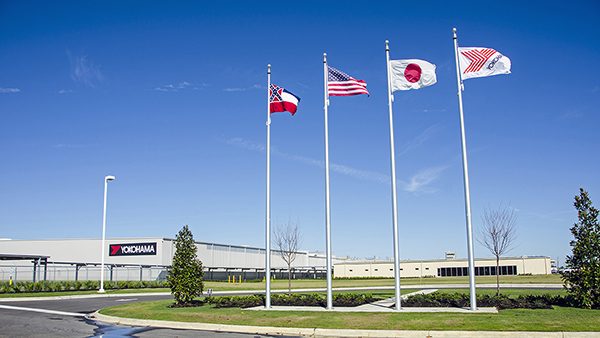 One example of the “make it where you sell it” phenomenon is the proliferation of foreign-made tire facilities announced in the South, including the Yokohama plant in Mississippi. One example of the “make it where you sell it” phenomenon is the proliferation of foreign-made tire facilities announced in the South in recent years. If you could make tires in Asia for U.S. consumption and make a profit, that’s what Yokohama, Hankook, Kumho, Bridgestone and Giti — just five of the many foreign tire plants announced in the South in recent years — would do. Instead, those companies are finding it more profitable to produce tires here. 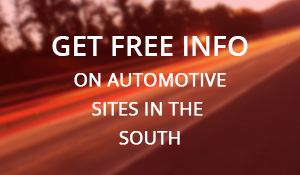 In fact, at deadline, Chinese tire maker Sentury Tire Americas chose a site near LaGrange, Ga., for a $500 million greenfield plant that will house 600 workers. Again, the $18 billion in Chinese investment in the United States in the first two quarters of this year represents the best “year” ever. But it doesn’t even remotely tell the whole story. According to Rhodium Group, the value of announced but not completed Chinese investments in the U.S. was near an all-time high of $33 billion at the end of the second quarter. Some of the pending Chinese merger and acquisition deals out there currently include HNA Group’s $6 billion purchase for Ingram Micro, Anbang’s $6.5 billion acquisition of Strategic Hotels and Apex Technology’s $3.6 billion purchase of Lexington, Ky.-based Lexmark. 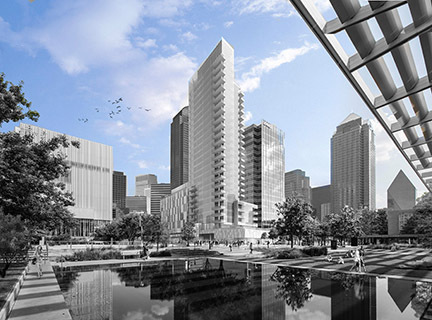 By the end of this year, the largest Chinese greenfield investment in the U.S. will be operational. The $1.3 billion Tianjin Pipe (TPCO) facility near Corpus Christi will produce seamless pipe for the energy industry. In the U.S., there are about $10 billion Chinese greenfield projects that are pending and have not been counted as investments by the end of the second quarter. In the South, those include Sun Paper’s $1.3 billion mill in Arkadelphia, Ark., China Jushi’s $300 million fiberglass plant in Richland County, S.C., and Yangfeng Automotive Interiors’ $71 million plant in Laurens, S.C., and its $55 million plant in Chattanooga, Tenn. The large increase in FDI in the U.S. in 2015 is a sure sign that foreign investors view the nation’s economy as one of the safest in what currently is a chaotic world economic marketplace. And why not? For the most part, the nation is at full employment for the first time in 16 years, the stock market is humming and on a cost basis, the U.S. — particularly the South — is very competitive right now with just about any country in the world. To conclude, trade, exports and foreign direct investment are looking pretty good today, especially in the South. Other than wages that are stubbornly low, there are not many negatives regarding the U.S. or the South’s economy. Surely, now that the region is at or near full employment, wages must rise, right? Let’s get this presidential election out of the way, which can’t be assisting the economy, and I believe we will find out.